NEW SESSION VIDEOS OUT NOW! CHECK OUT OUR TWO NEW SESSION VIDEOS AND DOWNLOAD THE TRACKS ONLINE ! Thank you for finding the Ease Up Ltd. website in the online jungle. 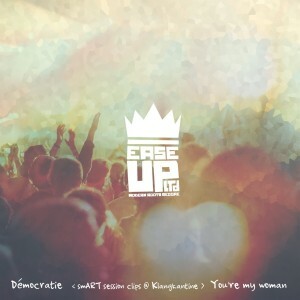 We are Ease Up Ltd, a 9-piece reggae band from Darmstadt, Germany. We play authentic Reggae music and season it with a dash of Ska and a little bit of Dancehall. We are glad for every single opportunity to spread our music and message throughout the world. Reggae music is not only our passion, it is also a medium to express our vision of the world and to communicate positive vibes – the world needs more of those! Our music comes from the heart, hope it will touch yours. Cheers!